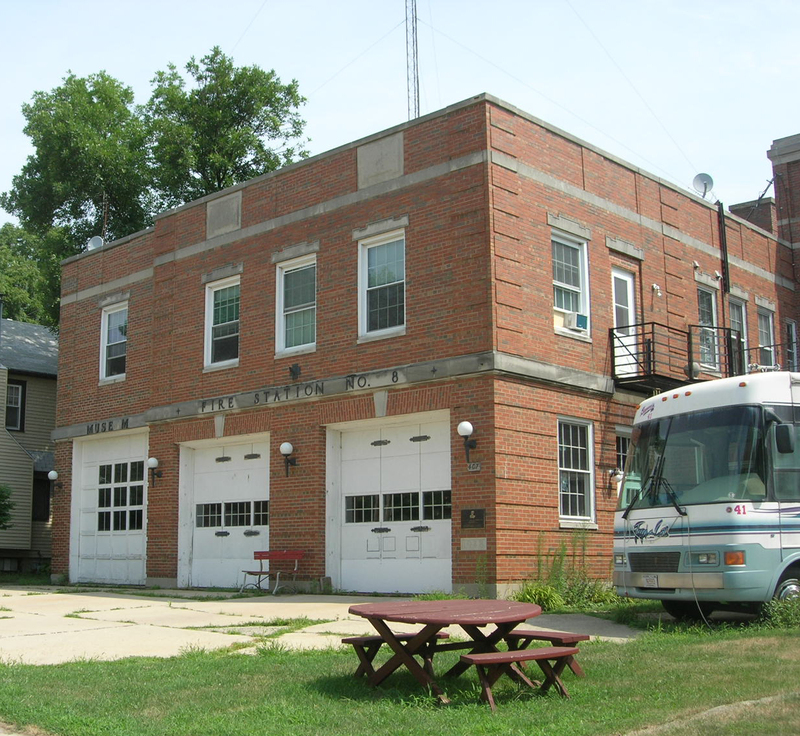 Mike Fuss, who operates a museum from his home in the former Fire Station #8 on North Street, will bring photos, stories and a fire truck to our meeting. Bring your stories of the people and places that protect the East Side from fires and other emergencies. All attendees are welcome to share memories and memorabilia at our club meetings. We’ll meet from 2-4 pm on September 17 at the Goodman Community Center, 149 Waubesa St. A $2.00 donation is welcomed. 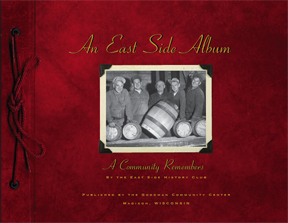 Last chance to buy “An East Side Album”! The Goodman Community Center is down to its last box of copies of An East Side Album: A Community Remembers. Published by the Goodman Community Center in Fall 2008, An East Side Album commemorates the opening of the Goodman Community Center, formerly the Atwood Community Center, in the renovated Kupfer Iron Works building. The book consists of 160 pages and 400+ photos and costs $20 if purchased at the Goodman Center. Absolutely Art on Atwood Avenue also carries the book (retail $24.95) and will ship mail orders for buyers. 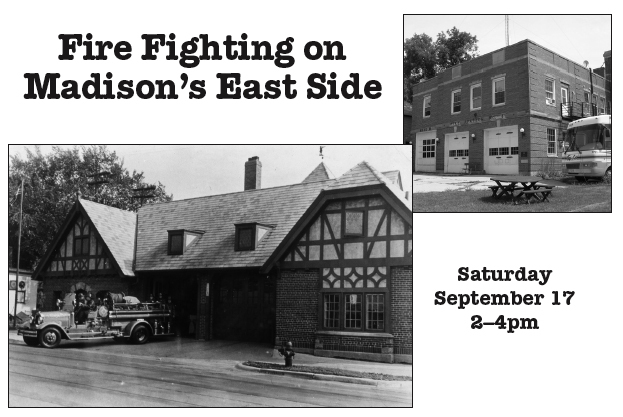 The history of the East Side’s fire stations, oldest retail store, and one of our local schools get the spotlight during the East Side History Club’s Fall 2011 schedule. The Old #5 Fire Station was demolished to make way for Eastwood Drive construction in 1972. Mike Fuss houses fire memorabilia in his museum/home on North Street. 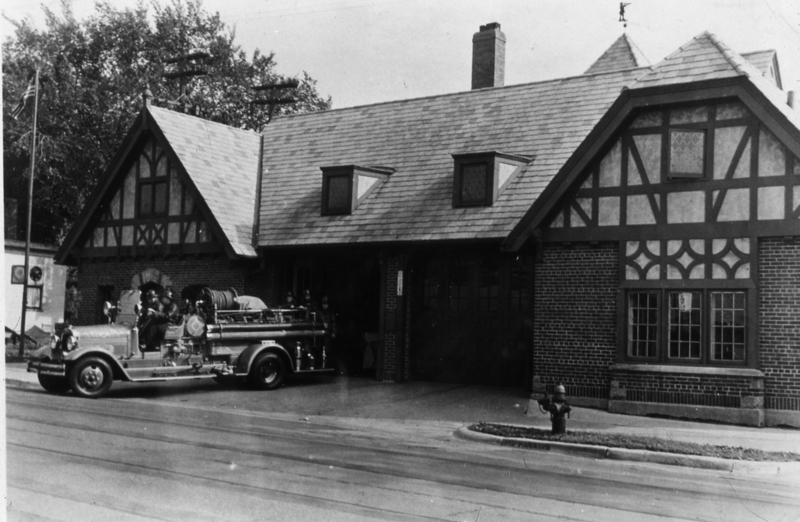 On September 17, Mike Fuss, who operates a museum from his home in the former Fire Station #8 on North Street, will bring photos, stories and a fire truck (!) to our meeting. Bring your stories of the people and places that protect the East Side from fires and other emergencies. October 15 finds the History Club delving into the history behind the recently-closed Schenk-Huegel store. A century ago, the growth of the Schenk family businesses triggered commercial development and gave a name to Schenk’s Corners. The Huegel surname followed when daughter Elsie married Arthur Huegel in 1910. 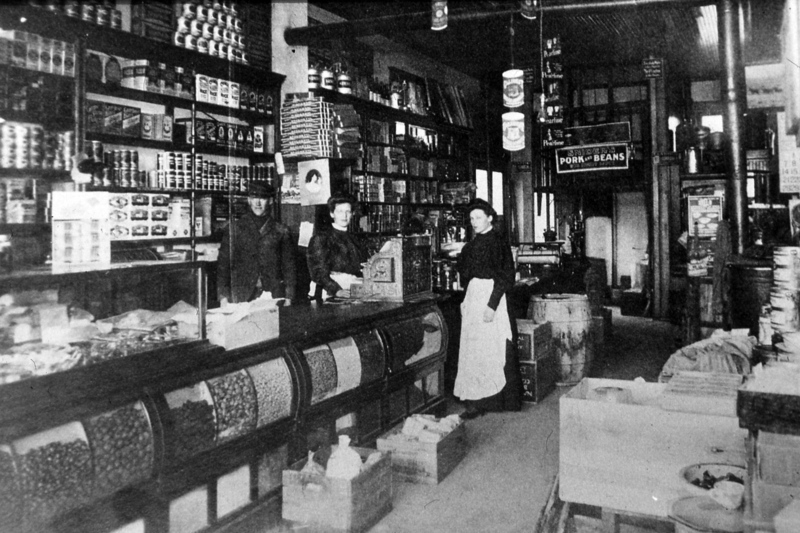 Interior of Fred Schenk’s store circa 1907, with (from left) Art Ramsey, Matilda Schenk, and Elsie Schenk. Ann Waidelich (current owner of Art and Elsie Huegel’s house), Sue Retzlaff (Art and Elsie Huegel’s granddaughter) and Wayne Johnson (last owner of the Schenk-Huegel Co.) will discuss the history of the building at the corner of Atwood and Winnebago Streets and the history of the Schenk and Huegel families that had a presence there from 1893-2001. Gretta Wing Miller has helped them put together a PowerPoint program of historic family photos and recent video of Wayne Johnson taken during the closing of the uniform store. All attendees are welcome to share memories and memorabilia at our club meetings.